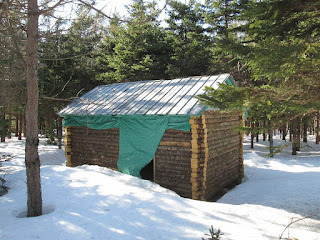 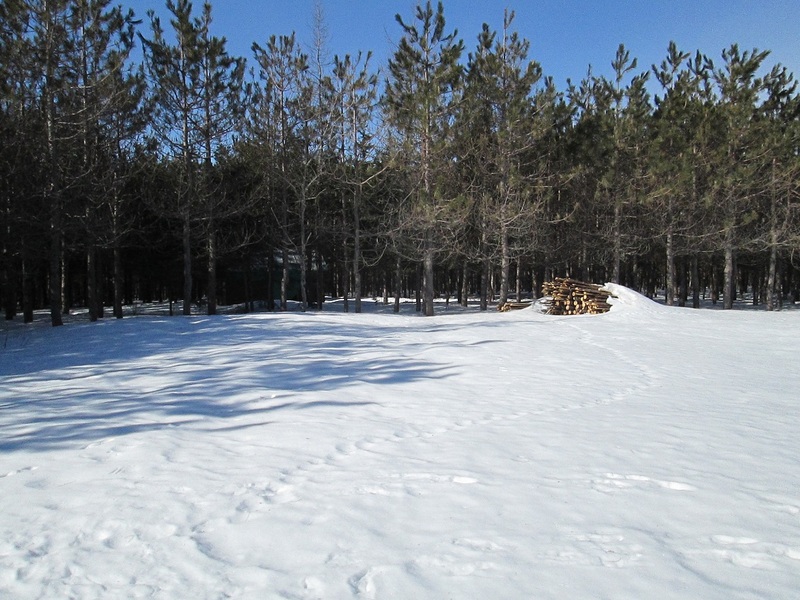 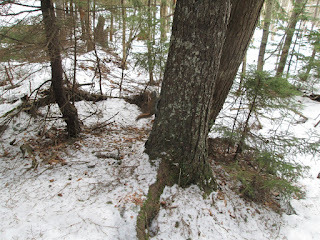 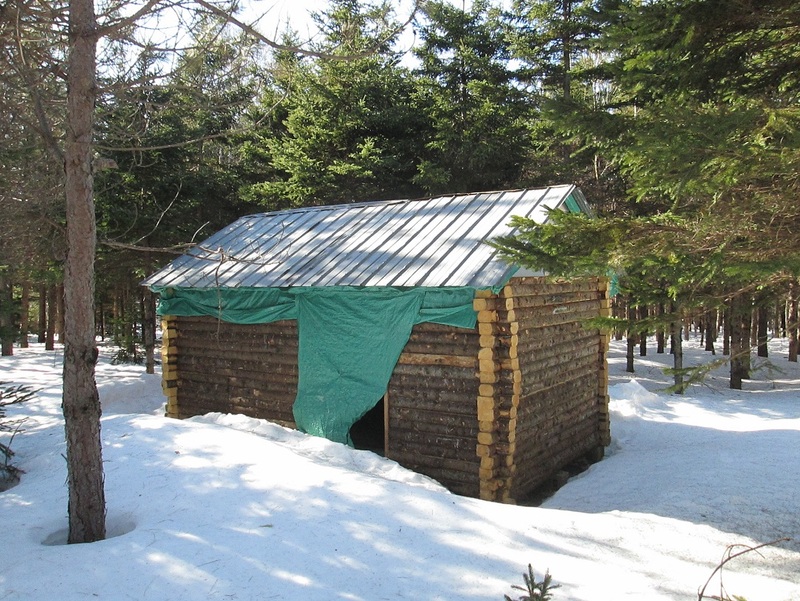 I was to the wood lot today, still lots of snow there. 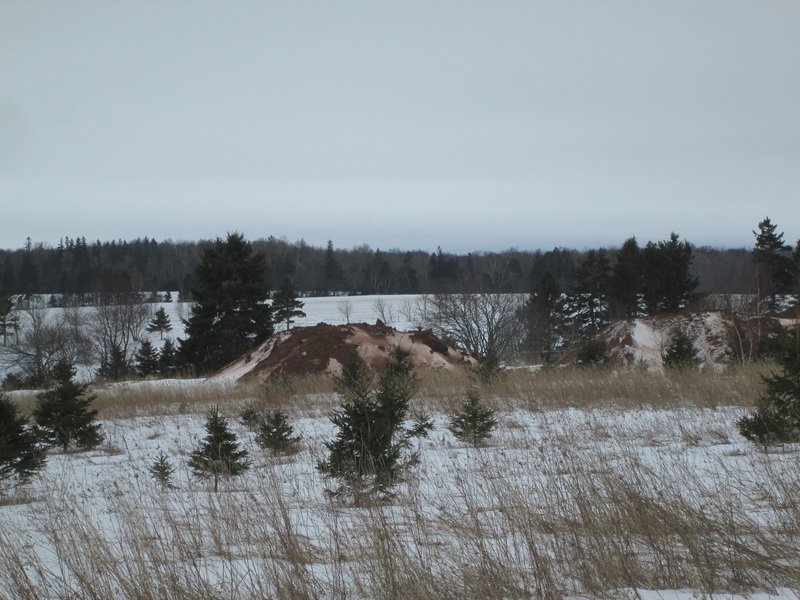 I would guess close to a meter of snow on the clearing. 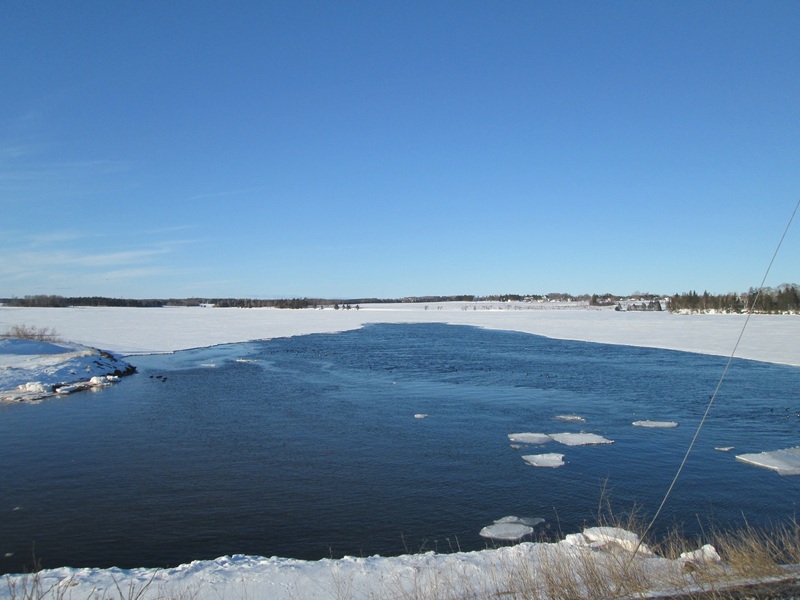 Later I was cycling for a couple hours, The Charlottetown harbour as seen from the park is mostly ice free. 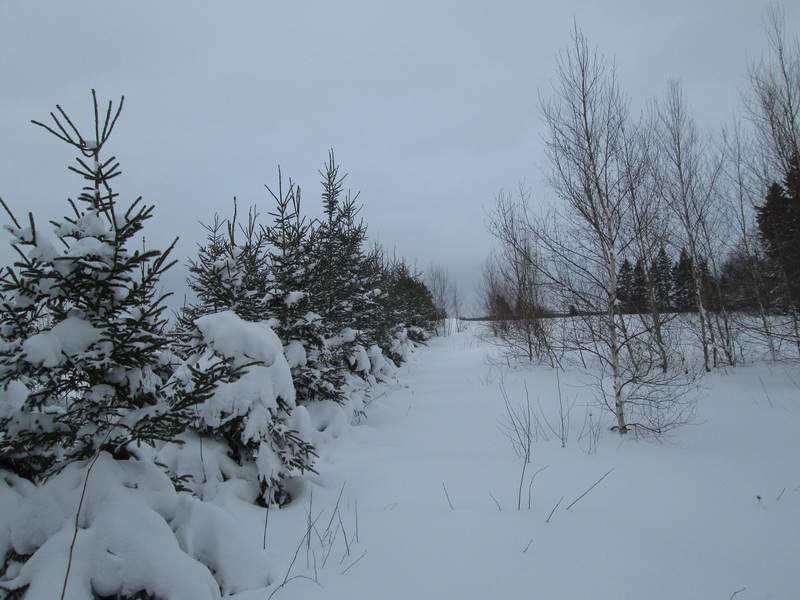 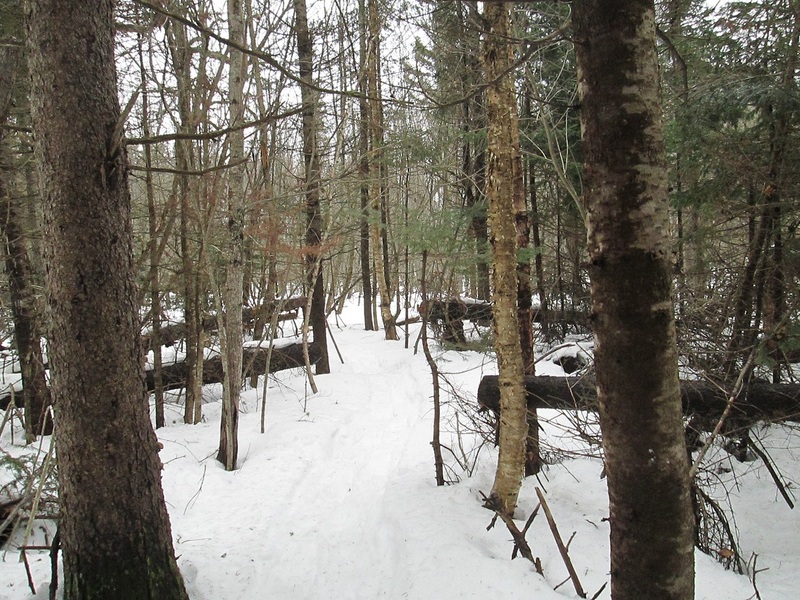 The Confederation trail in Winsloe is still snow covered. It was sunny with a temp of zero and a light west wind. 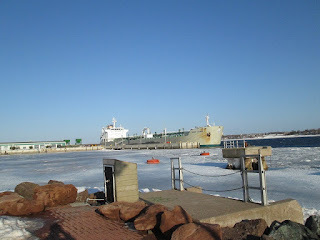 Today I was cycling for a couple hours, the Irving tanker was in port with a load of fuel. 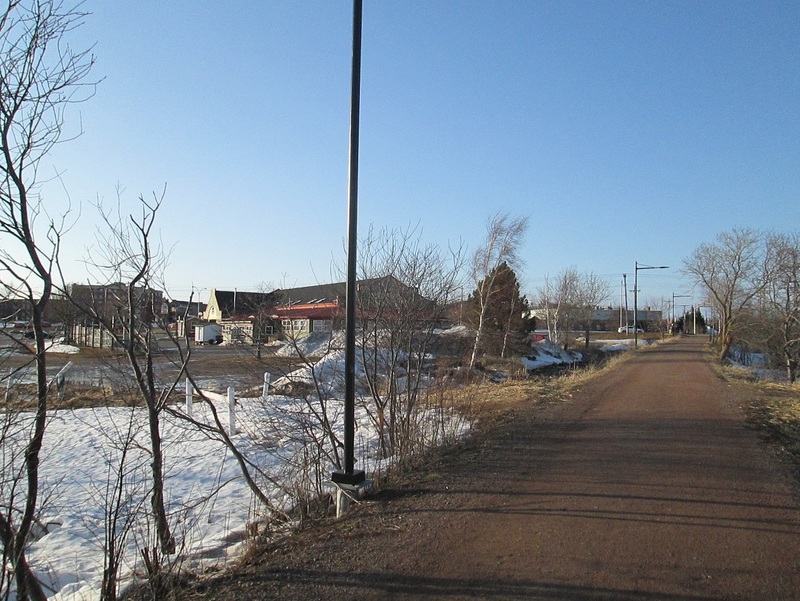 The Farmers market as seen from the trail, quiet on Mondays. 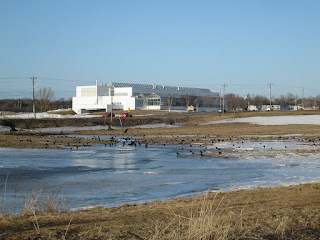 Murder of crows getting a drink from this pond near the Belvedere ave.
After lunch I went to the creek, the water was flowing over the top of the old bridge. The other bridge is higher and the water was still flowing under it. Forecast is for -8 overnight, After snowshoeing to the creek I was out on the bike for 90 minutes. 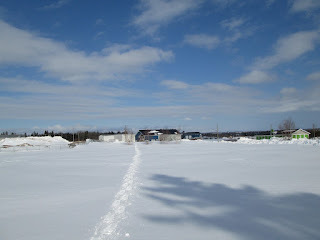 After lunch I was out on the snowshoes, went as far as the business park. 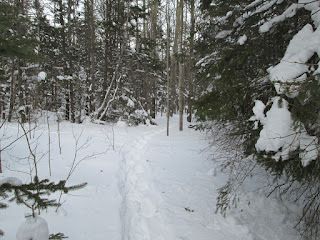 Trail in the business park woods. 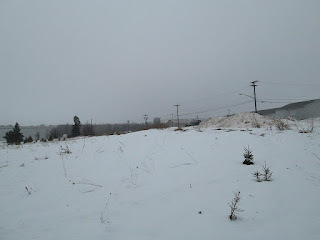 A misty day with a temp of +6. 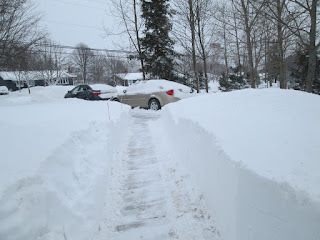 It was a light rain before I got home. But the sun was out later in the evening. 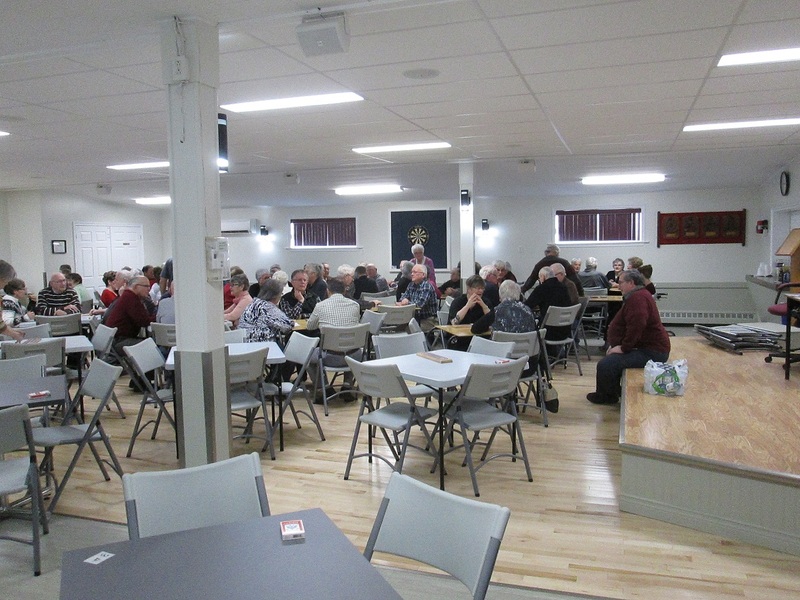 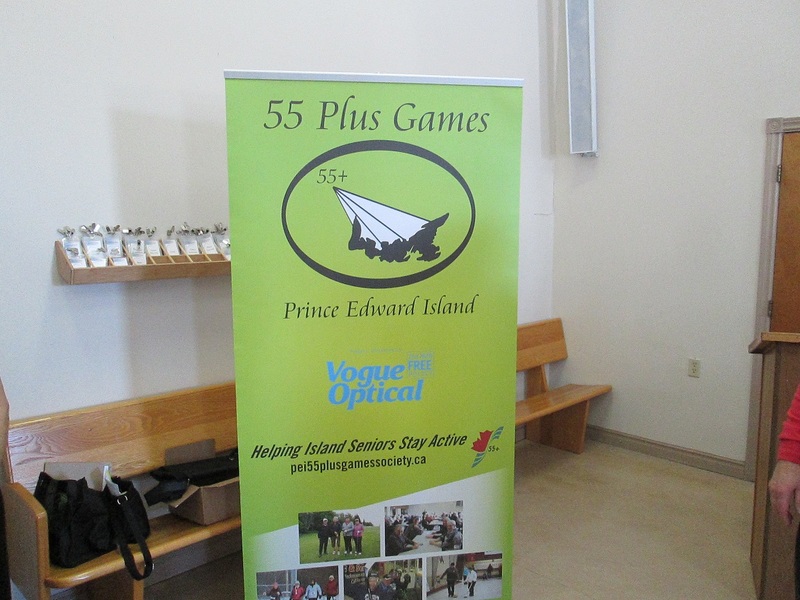 I was at the closing luncheon for the 55 plus games at the West River church today. 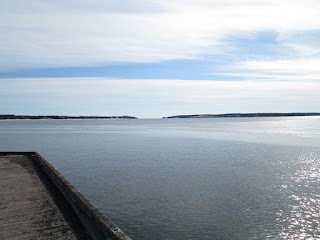 I then was out cycling for a couple hours between North River and New Haven. 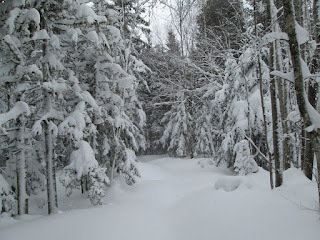 Temperature was a pleasant +7. 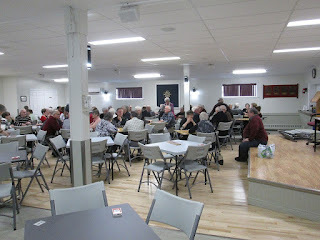 Today I was playing cribbage and auction cards at the Legion in New Haven. 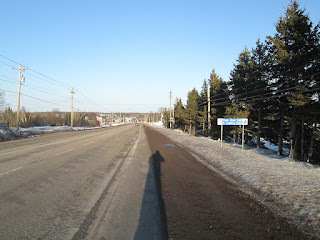 Then late afternoon I was cycling, cycled the road to Clyde River and back home. 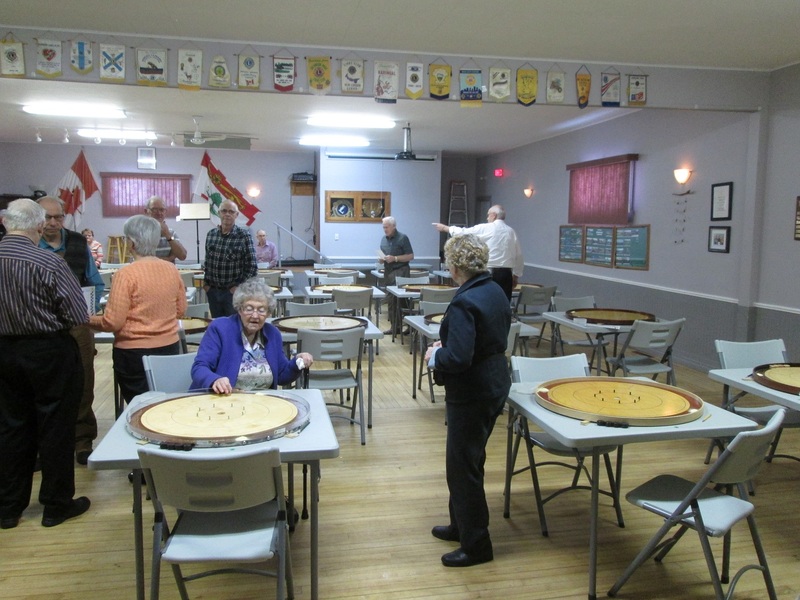 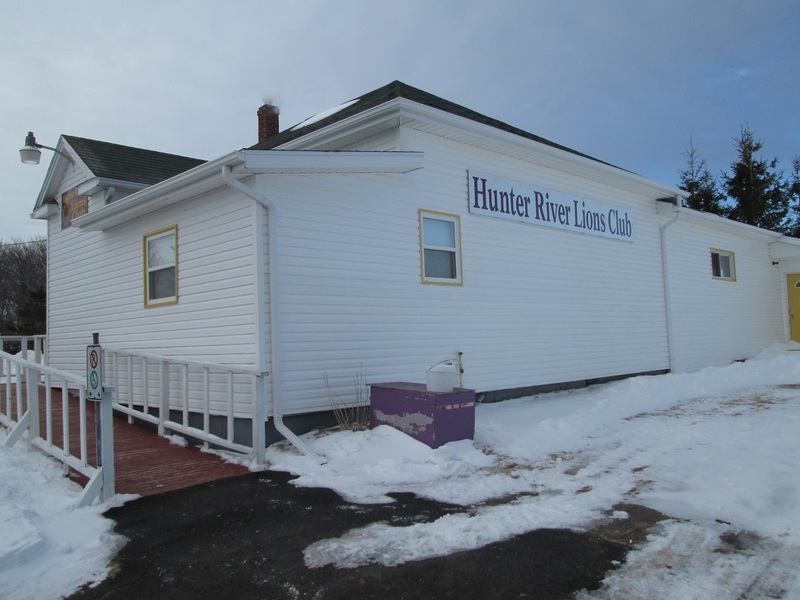 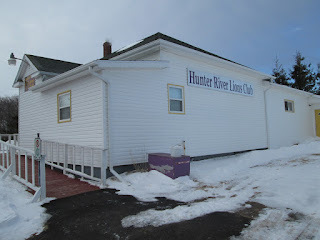 I was playing Crokinole this morning at the Hunter River Lions club. They had 24 tables for the singles, I didn't stay for the pairs in the afternoon. 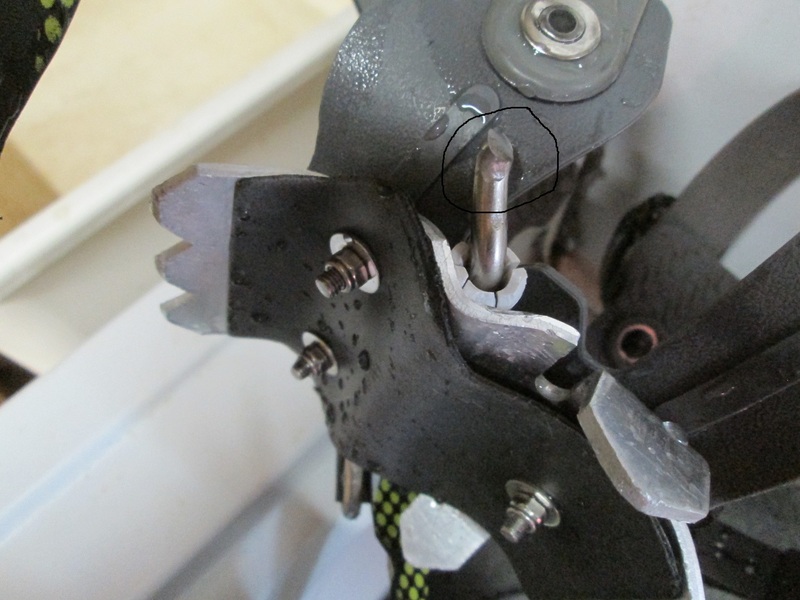 I went cycled but had the rear shift cable fail 30 minutes after I went out. 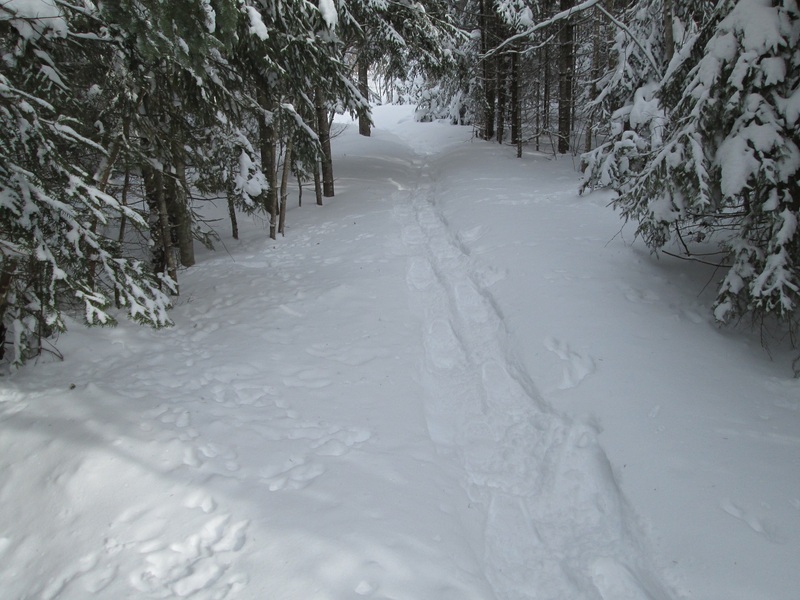 Mostly sunny at +3 with a light wind. 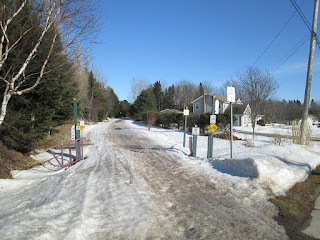 I was cycling for a hour today, I cycled the highway from North River to Cornwall twice. 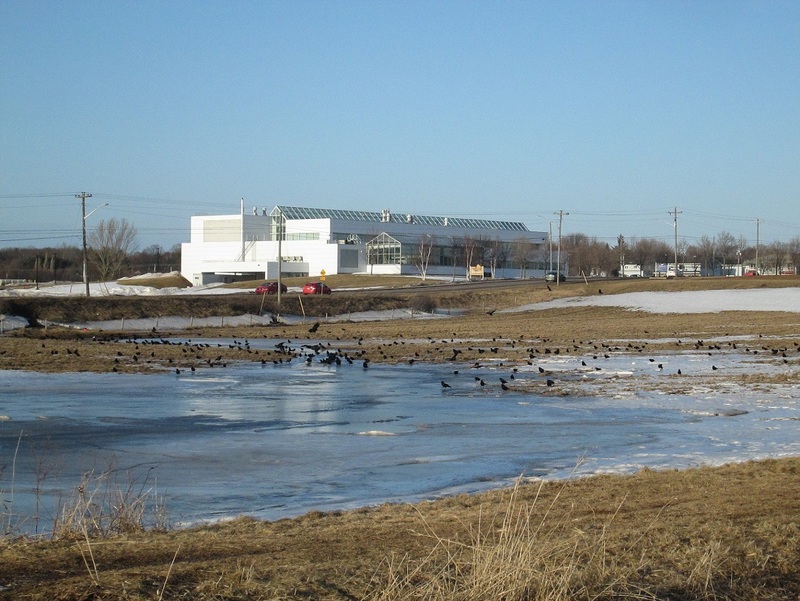 A few ducks in the water north of the bridge. Sunny at -3 with a 10 km/h north wind. 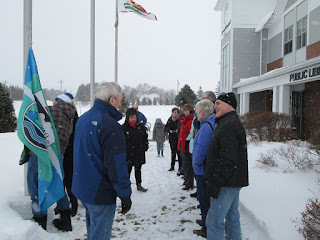 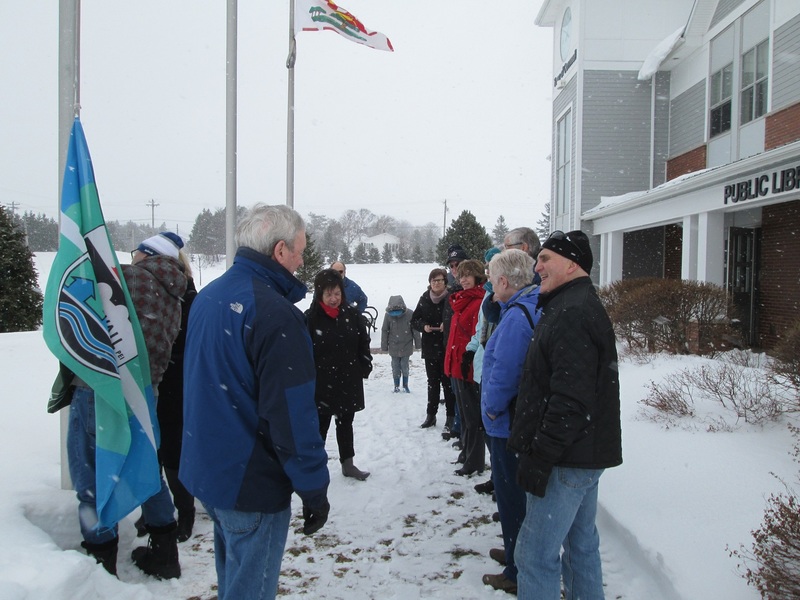 Cornwall is hosting the 55+ Winter games, I was there as they raised the flag for the start of the games. 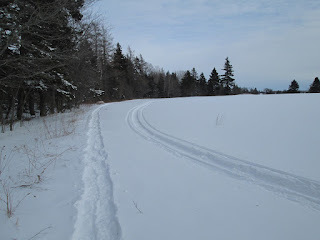 Later I was out on the snow shoes for a hour, then watched the Scotties curling. After watching the morning draw of the Scotties curling, I snowshed to the business park and the complete trail around the park. I had logged 4.75 km for the outing. Sunny at +3 with a light wind. 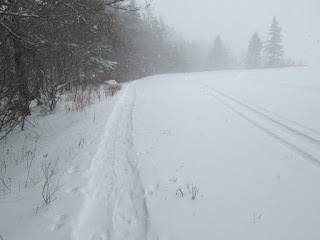 From the tracks, a couple other people were out on snowshoes as well. 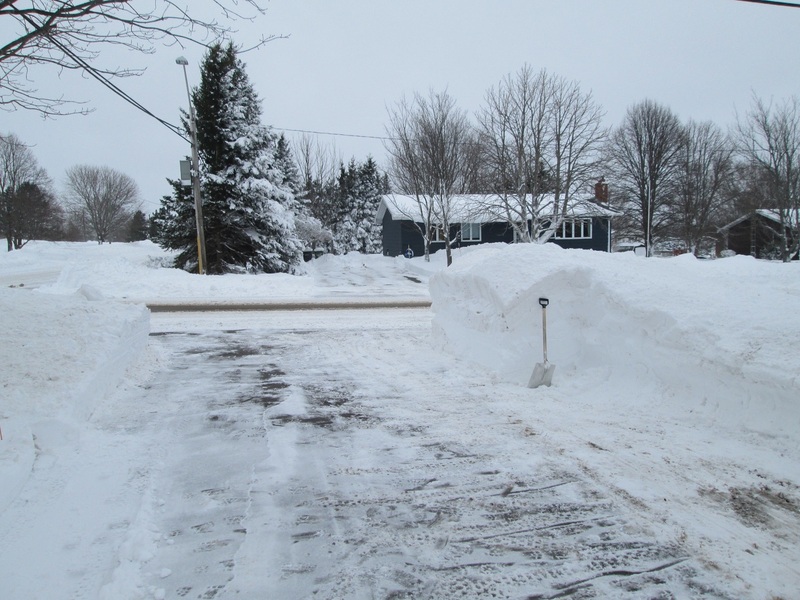 Drifting snow overnight, almost a hour clearing walk and driveway again this morning. Later I was out on the snow shoes, lots of rabbit tracks here in the fresh snow. 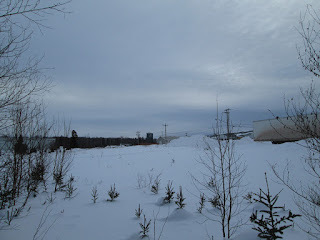 I went as far as the edge of the business park, still lots of snow on the trees. The roll of snow pushed into the drive by the plow was over a meter high. 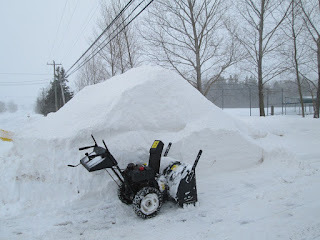 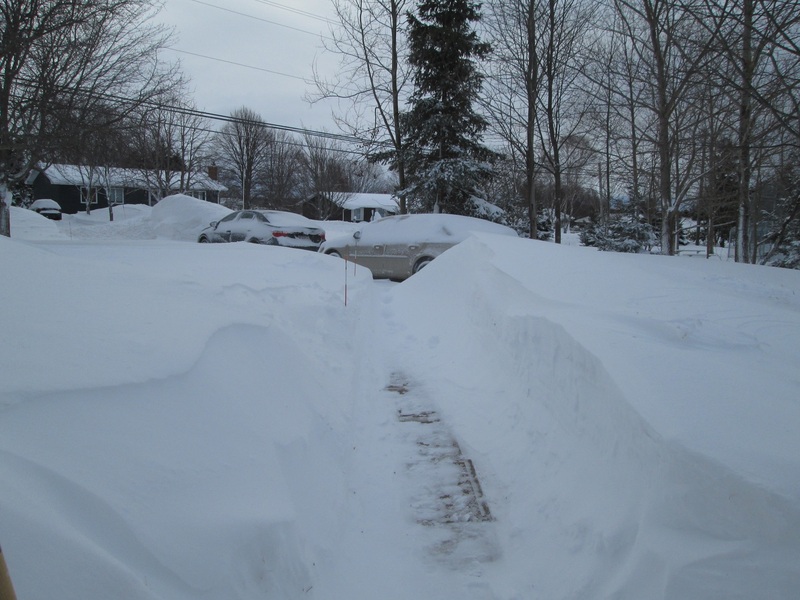 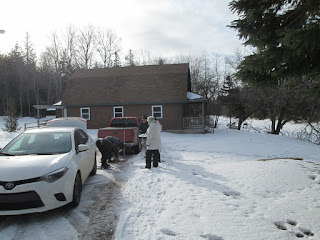 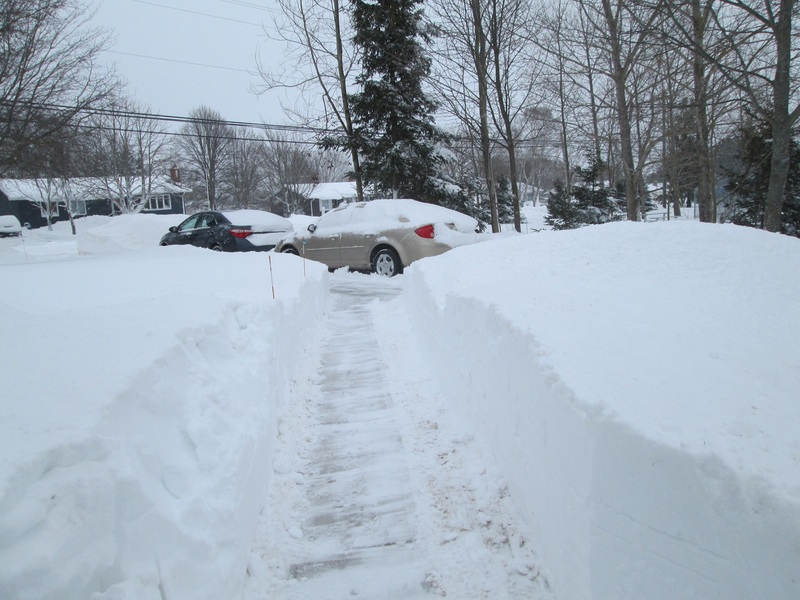 We got 43 cm of snow overnight, it too a couple hours to clear the walk and driveway. Temp was -4 with some drifting / blowing snow. 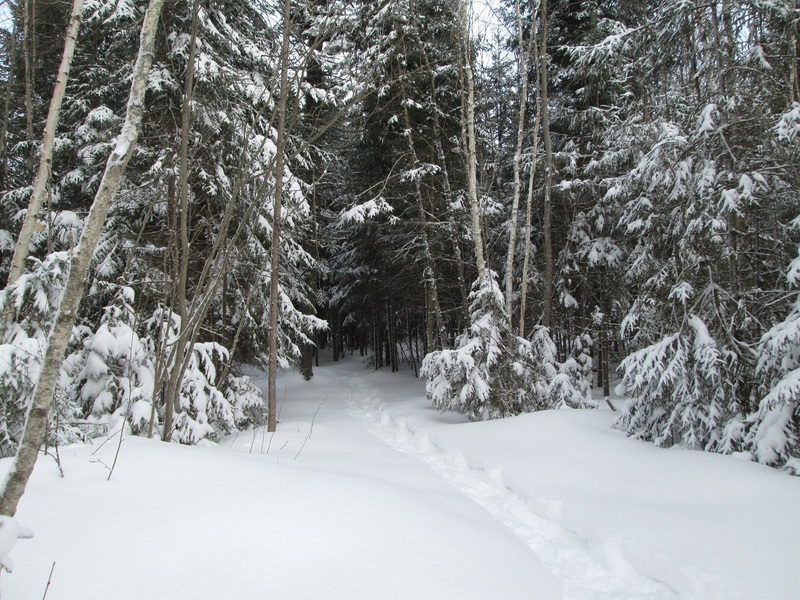 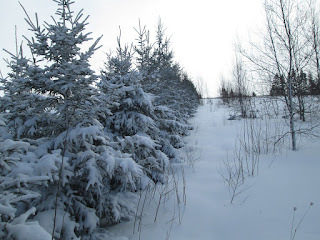 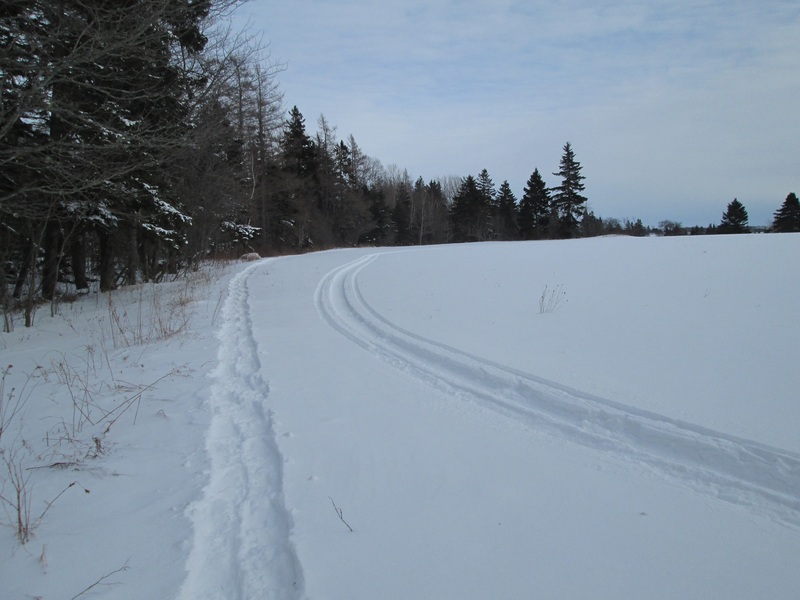 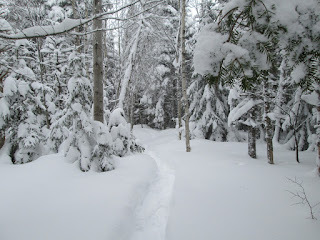 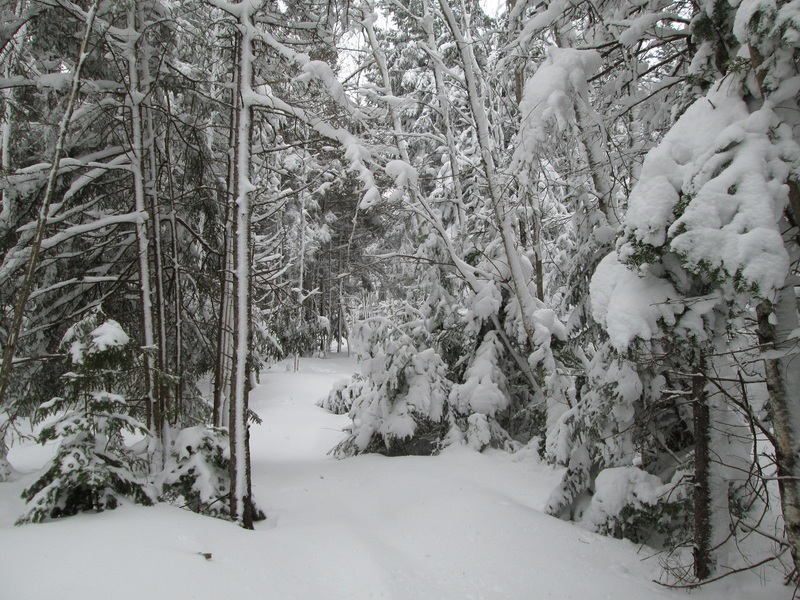 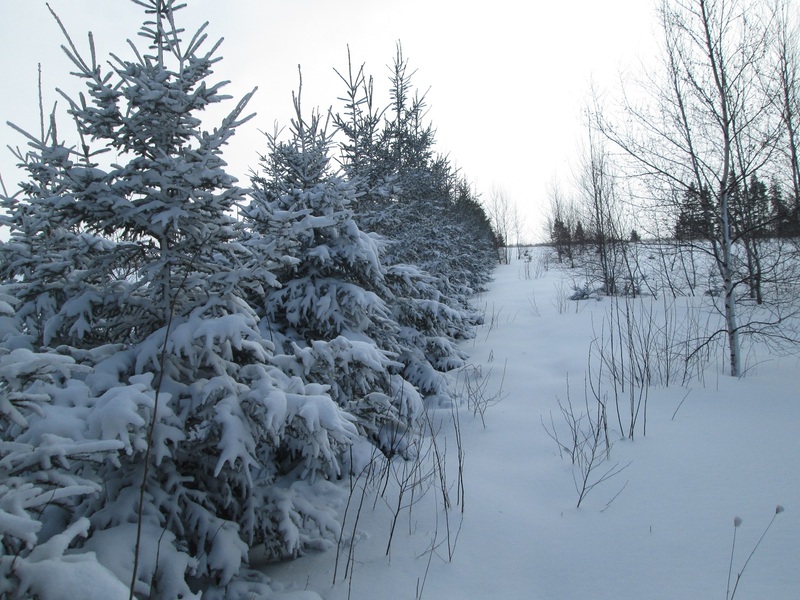 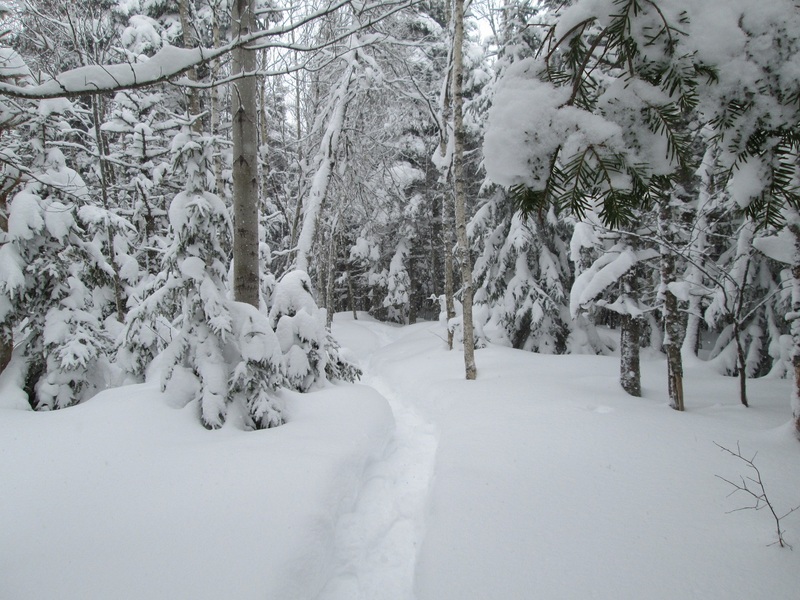 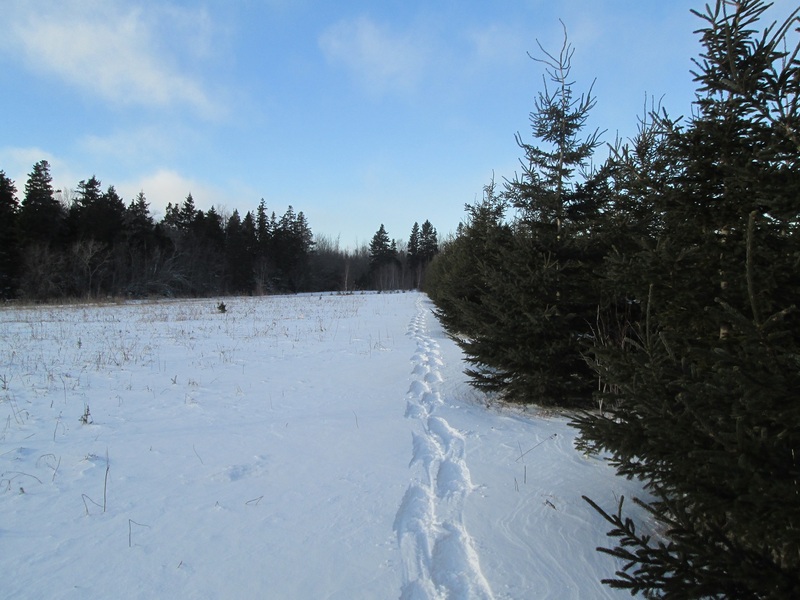 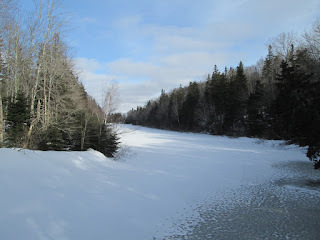 I was out on the snowshoes for a hour, really hard work breaking trail in the fresh snow. 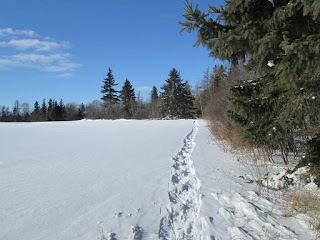 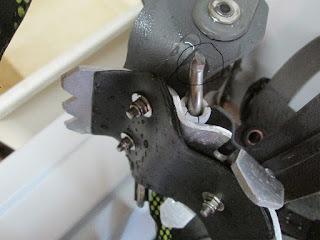 I was out on the snowshoes for 75 minutes, the repaired shoe is working fine. 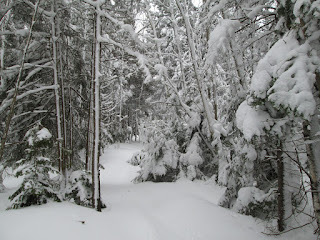 I was it the lee of the woods for the photo so wind not too bad. It was gusting to 50 km/h with a temp of -1 when I was out. 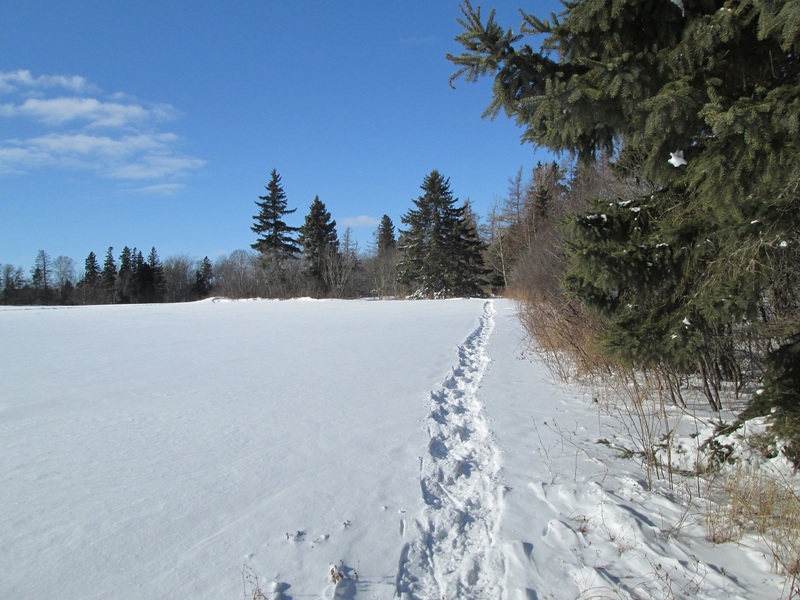 A sunny day at -6 while I was out on the snowshoe. 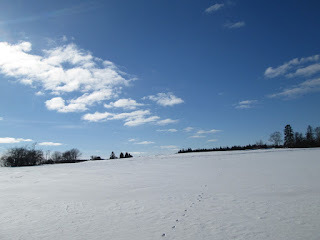 Just a few clouds in the sky. 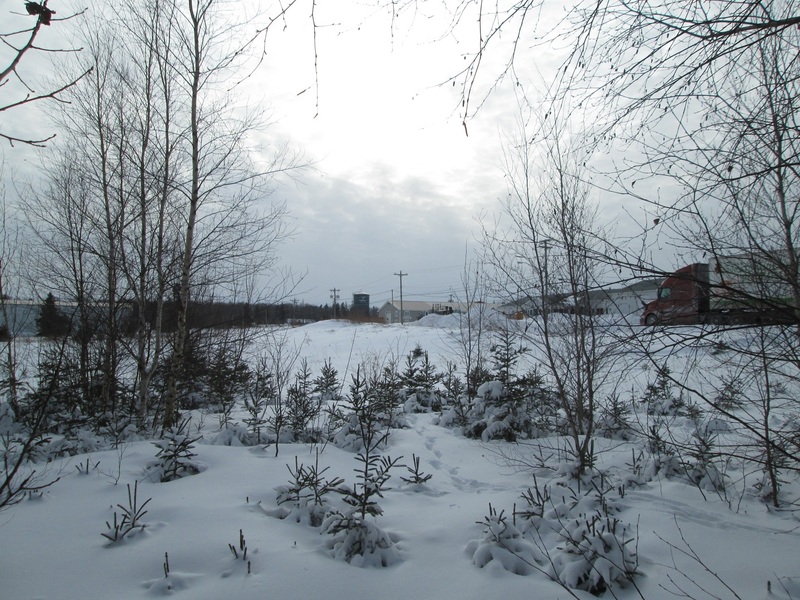 Mid afternoon I was on the snow shoes, I went as far as the business park, the sun was trying to peek out. 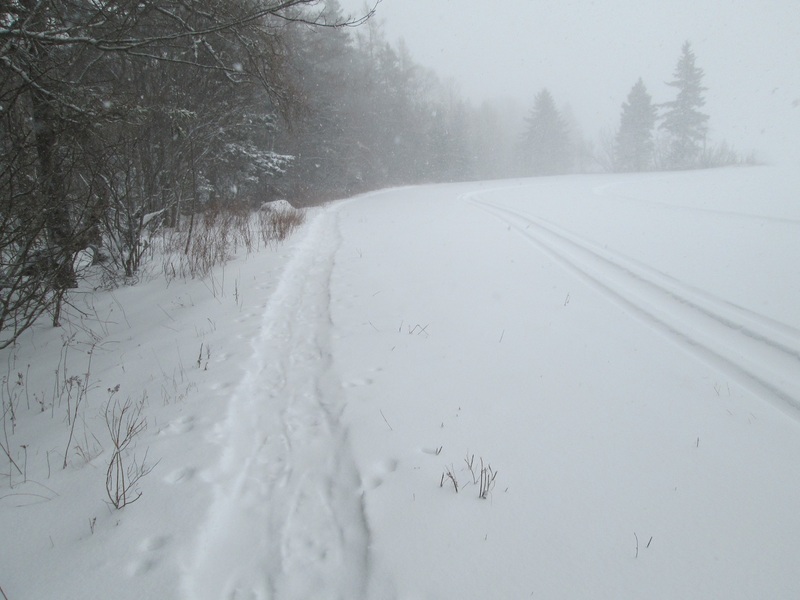 My tracks and a snowmobile had made a run by as well. 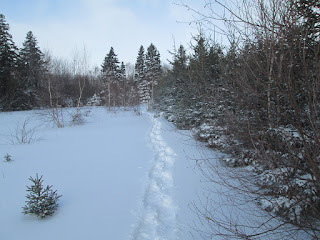 Temperature was about -10 and a very light wind. It was a nice afternoon for the snowshoes. 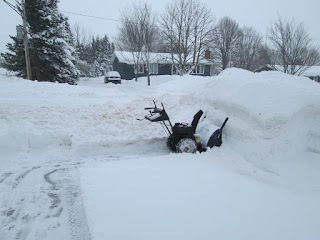 overnight we got 24 cm of snow with NE wind gusting to 70 km/h at times. 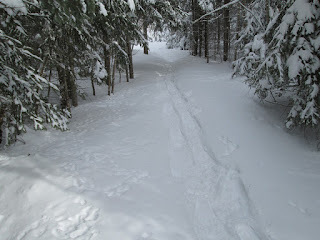 Breaking trail was a bit of a workout but much easier on the return. The row of trees are on the edge of the Business park, about 1 km from home. 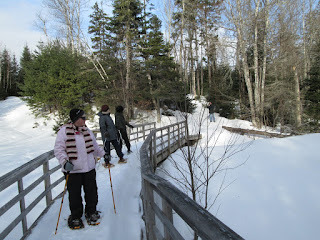 Snowshoeing today at Mooney's pond, only 6 in the group today. 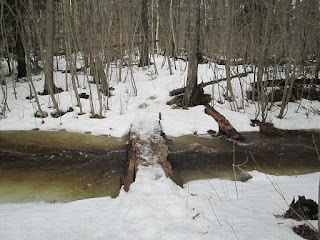 A bridge at the head of the pond. 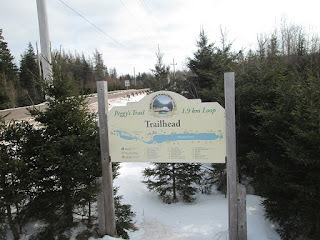 The information sign at a trailhead.. 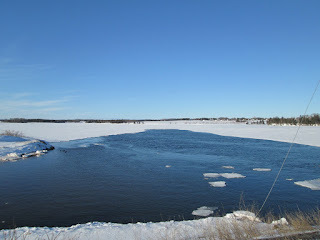 Sunny bur cool, temp -9 and a light breeze. we got about 5 cm of snow overnight. 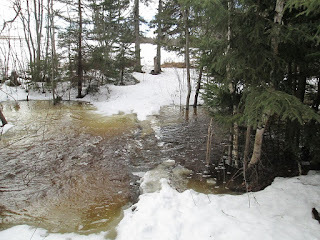 A little bit of rain around noon. 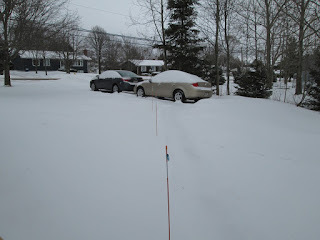 Temp went from -12 to +6 by late afternoon. 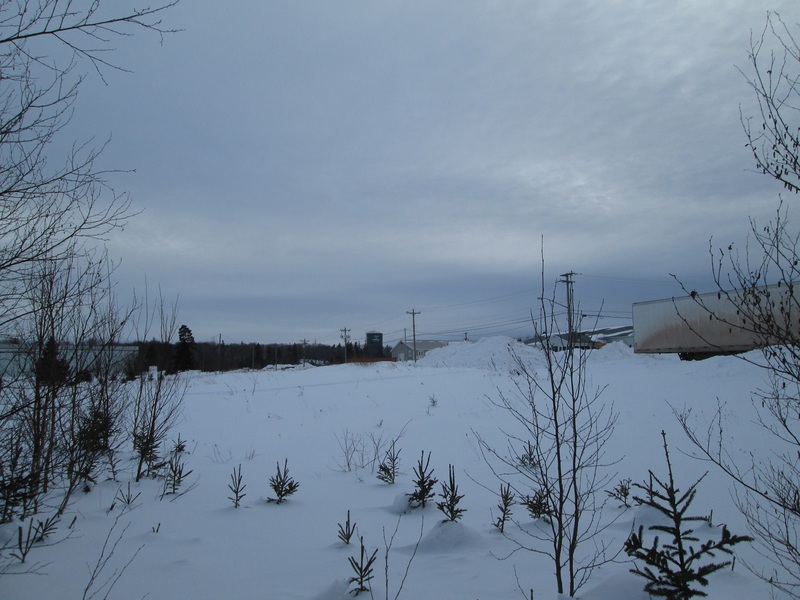 Late afternoon I was out on the snowshoes and went as far as the sand pile in the business park. The sand pile is getting smaller, Highways crew must be using more. 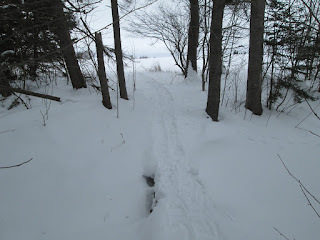 I was out on the snowshoes for 90 minutes this afternoon. 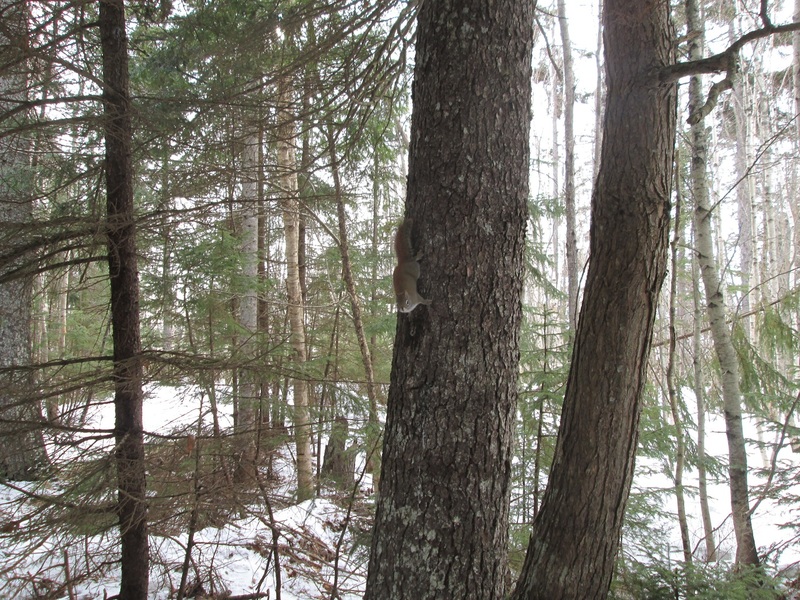 A squirrel was running up and down a spruce tree. I was as far as the business park, we had about 5 cm of dry powdery snow, temp was -9 while I was out.